It was October 10th, 1946 when Mrs. Alicia Pearl Mayer initiated a meeting, held at noon in the U.S. Grant Hotel, for the purpose of organizing a society "for mutual help in the pursuance of genealogical work and for the establishing of a genealogical library for the benefit of members." Present at the first meeting were Mrs. Mayer, Mr. Paul Henry Goss and Mrs. Elzoe C. Weissgerber. Membership in the society was by invitation. These twenty six people were the Society's charter members, joining between October 1946 and January 1947. Alicia Pearl Daniel was born September 10, 1885 in Kansas City, Missouri to John Meredith Daniel and Anna Belle Goodwin. She married Sidney Edward Mayer (1882-1942) on December 26, 1906 in Eureka Springs, Arkansas. The couple had one daughter, Marguerite Elizabeth Mayer, and one adopted son, George Eberly Mayer. Alicia Pearl Mayer died March 16,1978 in La Mesa, California and was buried at Mount Hope Cemetery (IOOF Section, Block 3, Lot 5, Grave 7; no gravestone) in San Diego on March 20th. 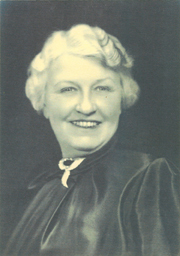 She was the founder and first president of the San Diego Genealogical Society (October 1946 - October 1947). Mrs. Mayer was a widow living at 4669 67th Street in San Diego at the time. She remained an active member, serving as Society Historian (1947-) and President Emeritus (December 1951-). 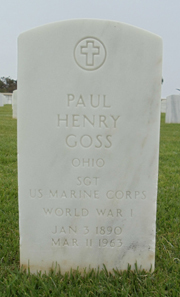 Paul Henry Goss, son of David Ephraim Goss and Virginia Fowler, was born January 3, 1890 in Nelson, Ohio. He married Gail Bloom (1896-1984) on June 15, 1921 in Silica, Ohio. They had four children, Paul Henry, Jr., David Cameron, James Fowler and Mary Virginia Goss. Mr. Goss died March 11, 1963. He was buried at Fort Rosecrans National Cemetery (Section Y, Site 803) on March 18th. Mr. Goss was elected the first Vice-President of the Society. When founding the Society in October 1946, he was living at 163 Cypress Street in Chula Vista, California. Paul Henry Goss authored The Mayflower Ancestry of the Goss and Seward families (195?). He was a member of the Sons of the American Revolution. He served in the United States Marine Corps during World War I.
Elzoe Prescott Clark was born August 22, 1887 in Orange, California. She was the daughter of John Walter Clark and Edith Adella Prescott. On June 17, 1911 she married John Frank Oscar Weissgerber (1886-1968) in Sioux Falls, South Dakota. They had one son Robert Clark Weissgerber. Elzoe C. Weissgerber died December 7, 1969 in Paso Robles, California. Mrs. Weissgerber was elected the first Secretary of the Society. When she helped establish the Society in October 1946, Mrs. Weissgerber was living at 347 Kimball Terrace in Chula Vista, California. She authored The Musick Story (1960). photo courtesy of Bill Sullivan Etta Leone Stephens was born May 7, 1881 in Hartman, Arkansas, the daughter of Henry Watson Stephens and Martha Ann Moran. 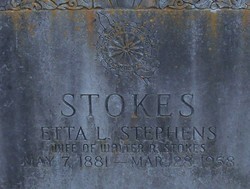 She married Walter Richard Stokes (1885-1931) on January 13, 1907 in Hartman. They had one son Walter Richard Stokes, Jr. Etta Stokes died March 28, 1958 and is buried at Hays Chapel Cemetery in Johnson County, Arkansas. When she joined the Society in October 1946, Mrs. Stokes was living at 581 E Street in Chula Vista, California. She was a member of the Daughters of the American Revolution and the American Clan Gregor Society. Charles Henri Cole was born January 14, 1869 at the American Embassy in Belgium to John Cyrus Cole and Mary Ann Waltho. He married Anna Francis Cole. Charles Cole died August 13, 1951 in San Diego County, California and was buried at Mount Hope Cemetery (Evergreen Division, Section 5, Row 7, Grave 14) on August 17th. When he joined the Society in October 1946, he was living at 1948 1st Avenue, San Diego, California. Mr. Charles Henri Cole, a charter member of the San Diego Genealogical Society, died August 13th, 1951, after an illness of three months. He was born January 14, 1869, at the American Embassy in Belgium, of American and English parentage. His father, John Cyrus Cole, was born January 16, 1839, at St. Charles, Missouri, the son of Richard Henry Cole of Stafford County, Virginia, and his wife Amanda Eversole. Mr. Cole's father was in the Diplomatic Service and married while abroad Miss Mary Ann Waltho of Wolverhampton, England, on September 12, 1866. At the age of three years Mr. Cole lost his mother, and his father took him from Belgium to England where he lived with his mother's parents until he was eighteen years of age. At this time his father died abroad and Mr. Cole brought his father's remains home for burial in Bellefontaine Cemetery at St. Louis, Missouri. In this family plot are buried his ancestors, including his Cole and Eversole Revolutionary ancestors. His grandfather, Richard Henry Cole, was the inventor of the nut-and-bolt machine, which today supplies us with the little item that is so common to all builders and construction workers. Mr. Cole married a distant cousin, Anna Francis Cole, December 23 1913, who died fifteen years ago. There were no children of this union, and Mr. Cole was the last of his line. He was deeply interested in genealogy, and while he had no one to leave his research to, he often stated that his contacts with the members of this Society meant more to him than his genealogy. He was a kindly, courteous, and friendly person - a Gentleman of the "Old School" - and he will be missed by us all. "They are not dead who live in the hearts of their friends." Prepared by Mrs. Nancy Sperry, Historian, San Diego Genealogical Society, for the records of the organization. About three months prior to his death, Charles H. Cole suffered a fractured leg in a fall, and was hospitalized for several weeks at San Diego County Hospital. The injury failed to heal, and Mr. Cole was sent to Edgemore Farm as a ward of the County for institutional care. Mortuarial service was rendered by Greenwood Mortuary on County contract. Interment was in the County Plot at Greenwood on August 17, 1951. The San Diego Genealogical Society was represented officially at the graveside service by Mrs. Nancy Sperry, Mrs. Virginia Schur and Mrs. Anne Payne. This Committee arranged for the Society to have a simple marker placed as a memorial to the "Last of his Line", Charles Henri Cole, a Charter Member of the organization. John Wildy Waymire, son of Isaac Calhoun Waymire and Levina Wenger, was born January 19, 1873 in Butler Township, Montgomery County, Ohio. He married Maude Marie Zeller (1878-1941) on May 22, 1897 in Montgomery County, Ohio. The couple had two sons, Eldon Zeller and Espern Waymire. 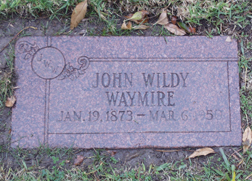 John Waymire died March 6, 1950 in San Diego, California and was buried March 8th at Mount Hope Cemetery (Division 7, Section 10, Lot 162, Grave 1). When he joined the Society in October 1946, Mr. Waymire was living at 4230 Cherokee Avenue in San Diego, California. John W. Waymire was a teacher. 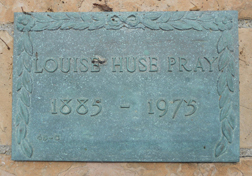 Louise Marie Huse was born May 5, 1885 in Mason City, Illinois to William Huse and Sally Baner. She was married on January 15, 1908 to Ralph Marble Pray (1884-1928) in Mason City, Illinois. They were parents of Lee Huse, Ralph Marble, Jr., Richard H., Margaret H. and Elsie Pray. 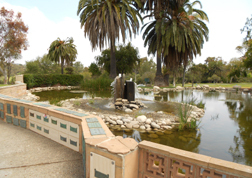 Louise H. Pray died August 19, 1975 in San Diego, California and was inurned at Glen Abbey Memorial Park in Niche 45, Tier C, in the Lake of Dreams U1Section. When she joined the Society as a charter member in October 1946, Mrs. Pray was living at 438 D Street in Chula Vista, California. She was a University of Illinois graduate and Chi Omega Sorority member. Louise Pray had moved to Chula Vista in 1920 and was a real estate and insurance businesswoman, and lemon rancher. 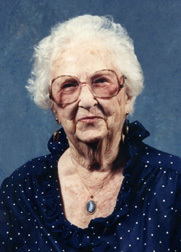 From 1933 until 1948 she served on the Board of Directors of the Sweetwater High School District. In 1947 she moved to the Sweetwater Valley. * San Miguel Chapter of the Daughters of the American Revolution. James Horne Lightbourne , the son of James Lightbourne and Helen Saunders, was born January 3, 1875. He married Agnes F. McIntyre (1885-1978). James died on May 10, 1965 in El Cajon, California. He was entombed at Cypress View Mausoleum in San Diego on May 13th. When he joined the Society in October 1946, Mr. Lightbourne was living at 2319 30th Street in San Diego, California. He worked in the life insurance industry. His last employer was Sun Life Company of Canada. 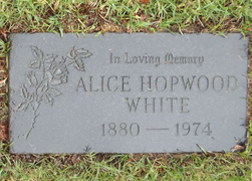 Alice A. Hopwood was born April 17, 1880 in Jeffersonville, Indiana. She was the daughter of Charles W. Hopwood and Emma A. Totten. She married Benjamin H. White and had son Benjamin H. White. Mrs. Alice H. White died July 4, 1974 in San Diego, California. She was buried July 8th at Mount Hope Cemetery (Division 7, Section 16, Lot 84, Grave 3). When she joined the Society in November 1946, Mrs. White was living at 4178 Stephens Street in San Diego, California. Emma Charity Pringle was born December 9, 1868 in Iowa to William Smith Pringle and Louise Marie Hart. She married Mark H. Ferbitz (1872-1951). They were parents of Faith L. P. and Frank B. Ferbitz. Mrs. Emma Ferbitz died May 6, 1953 in National City, California. She was buried at Glen Abbey Memorial Park on May 9, 1953. When she joined the Society in November 1946, Emma Ferbitz was living at 926 East 7th Street in National City, California. She was a housewife. One of the first people invited to join the Society, Colonel Shaw was a San Diego Genealogical Society charter member, joining in November 1946 while he was living at 2017 Guizot Street in San Diego, California. He served as Society President fromOctober 1947 to October 1949. 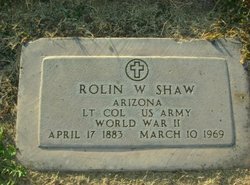 Rolin W. Shaw was a member of the Sons of the American Revolution, the General Society of Mayflower Descendants and the Society of Mayflower Descendants in the State of Michigan. 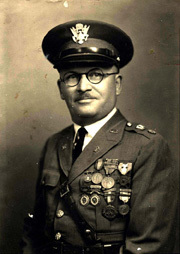 Colonel Shaw was elected a Fellow of the American Institute of Genealogy. He was a primary, contributing genealogist for John Beal the centenarian and descendants : John Beal, 1588-1688, lived fifty years in England and fifty years in America, fourteen generations, 1588-1956 : also other Beal families from England (Bertha Bortle Beal Aldridge, 1956). He did extensive work for the 'Wing Family of America' (established in 1902) and wrote many articles for The OWL : the official publication of the Wing Family of America. Together with his sister, Grace Shaw Woldt, and Arthur Fayette Shaw, he compiledFamily records of Solomon Benjamin Shaw and Etta Ellen Sadler; ancestors and descendants (1974, 1988). Ettroile LaMar Kent was born October 13, 1880 in Fowlerville, Michigan. She was the daughter of Eli Peleg Kent and Catharine Ophelia Madison (Matteson). Ettroile LaMar Kent and Alanson Watson Brown (1879-1959) were married June 19, 1906 in Flint, Michigan. They were parents of Sara Catharine, Roxana G., Giles Tyler Brown. Ettroile Brown died May 31, 1972 in Los Angeles County, California. When she joined the Society in November 1946, Mrs. Brown was living at 435 First Street in National City, California. She was a member of the National Society Magna Charta Dames. When she joined the Society in November 1946, Mrs. Thom was living at 3814 Orange Avenue in San Diego, California. She was employed as the Deputy County Assessor. Alice Roseanna Callahan, the daughter of James Callahan and Lavinia Dickey was born 1873 in Independence, Iowa. She married Eugene E. Hageman (1862-1911) on December 20, 1893 in Independence and had two sons, Donald Eugene and Wayne Hageman. 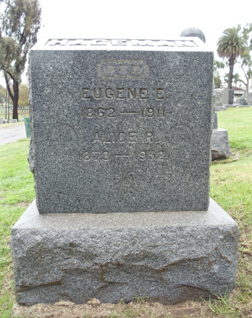 Alice R. Hageman died in Montana on May 8, 1952 was buried at Mount Hope Cemetery (IOOF Section, Block 47, Lot 2A, Grave 1) in San Diego, California on May 13, 1952. When she joined the Society in November 1946, Alice Hageman was living at 3627 Orange Avenue in San Diego, California. 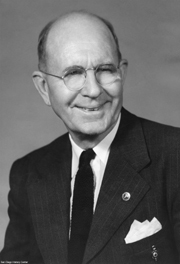 James Evans Dille was born April 6, 1886 in Walnut Hill, West Virginia. He was the son of Oliver Hagans Dille and Gillian Coleman Evans. On September 1, 1911 he married Opal Flodell Howard (1887-1978) in Cameron, West Virginia. They had three children, Edith Elaine, James Evans, Jr. and Barbara Howard Dille. James E. Dille died September 18, 1963 Los Angeles County, California. When he joined the Society in November 1946, he was living at 4204 Campus Avenue in San Diego, California. By May 1949 Mr. and Mrs. Dille moved to Pasadena. Mrs. Dille was elected the first Second Vice-President of the Society. 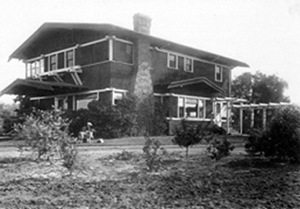 When she joined the Society in November 1946, she was living at 4204 Campus Avenue in San Diego, California. By May 1949 Mr. and Mrs. Dille moved to Pasadena. Marie Virginia Baines was born December 25, 1899 in San Diego, California. She was the daghter of George W. Baines II and Ona Madeline Ellsworth. Virginia married Meinard Aloysius Schur (1896-1944, Commander, U.S. Navy) on June 28, 1920 in San Diego. They had one daughter, Virginia Anne Schur. Mrs. Viriginia Schur died October 3, 1963 in San Diego, California. 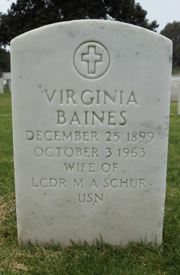 She was buried at Fort Rosecrans National Cemetery (Officer Section B (O.S.B. ), Site 9) on October 9th. Mrs. Schur was the Society's first Librarian and she served in that capacity until 1963. When she joined the Society in November 1946, Mrs. Schur was living at 4866 Kensington Drive in San Diego, California. She was a member of the California State Society of The Colonial Dames of the XVII Century. Nancy Hamilton Woodward, the daughter of George Woodward and Ellen Richardson, was born May 13, 1872 in Oregon. She married John H. Couch about 1891. They had one son, John C. Couch. Nancy married Ray Dean Sperry about 1905. She died November 11, 1962 in San Diego, California. When she joined the Society in November 1946, Mrs. Sperry was living at 2161 Pine Street in San Diego, California. She was a member of the Daughters of the American Revolution and the Colonial Dames of the Seventeenth Century. 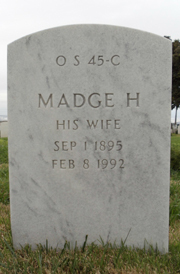 Madge Marie Hale was born September 1, 1895 in Gypsum, Kansas to Samuel English Hale and Jessie Arminda Shellenbarger. 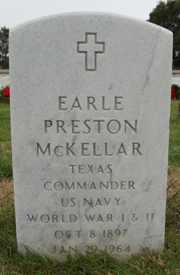 She was married to Earle Preston McKellar (1897-1964) December 2, 1919 in Coronado, California. They were parents of Robert Hale McKellar, Earle Preston McKellar, Jr. and William Hale McKellar. Madge McKellar died February 8, 1992 in Redding, California. She was inurned at Fort Rosecrans National Cemetery (Officer Section (O.S. ), Grave 45-C) on February 14th. When she joined the Society in November 1946, Madge McKellar was living in La Mesa, California (Route 1, Box 153). Together with Edythe R. Whitely, Madge Hale McKellar authored Shellenbarger Family [Descendents of Ulrich Shallenberger] (1946). On July 5, 1986, Madge was elected Honorary President of the John and Jane Porter Smilie Family Association in recognitition of her contribution to the Smilie family research. Ora Udell Conwell, son of John Wesley Conwell and Malinda Josephine Hendricks, was born October 24, 1881 in Wapello County, Iowa. He married Emily Jane Cameron (1885-1964) in Iowa on December 22, 1909. They had two sons, Arlo Bennett and Lester Cameron Conwell. Mr. Conwell died March 16, 1975 in San Diego, California. He was buried at Oak View Cemetery in Albia, Iowa. When he joined the Society in November 1946, Mr. Conwell was living in the Carnegie Apartments at 950 9th Avenue in San Diego, California. He was a payroll accountant for Solar Aircraft. Mr. Conwell served as Treasurer of the San Diego Genealogical Society. Emily Jane Cameron was born August 8, 1885 in Iowa. She was the daughter of Walker Cameron and Jane A. Robinson. Emily married Ora Udell Conwell (1881-1975) on December 22, 1090. They had two sons, Lester Cameron and Arlo Bennett Conwell.Emily Conwell died July 5, 1964 in San Diego, California and was buried at Oak View Cemetery in Albia, Iowa. When she joined the Society in November 1946, Emily Conwell was living in the Carnegie Apartments at 950 9th Avenue in San Diego, California. When she joined the Society in December 1946, Helen Snyder was living at 4189 Albatross Drive in San Diego, California. When she joined the Society in December 1946, Mrs. Davis was living at 4621 33rd Street in San Diego, California. Benjamin Franklin Dixon, historian and genealogist, was born March 23, 1892 in Kahoka, Missouri, to Pearley Nicholas Dixon and Rachel Maria Kinkade. He was married to Alice Louise Dwelle (1891-1972) on May 24, 1926 at the old Dwelle mansion near Cedar Point, Kansas. They were parents of three children, John Melvin Dixon, Dale Edward Dixon and Mary Alice Dixon. 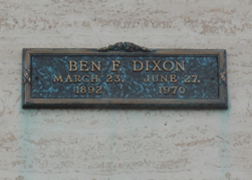 Ben Dixon died June 26, 1970 in San Diego, California and was entombed on June 30th in Greenwood Mausoleum (Corridor of Prayer, Tier B, Crypt 26). A charter member of the San Diego Genealogical Society, joining in January 1947, Mr. Dixon was the Society's third President, serving from October 1949 through December 1951. He also served a term as Second Vice-President. Ben Dixon was a Fellow of the American Institute of Genealogy and a member of the Squibob Chapter of the fraternal organization The Ancient and Honorable Order of E Clampus Vitus. The Dixon family attended the Central Christian Church. Alice Louise Dwelle, daughter of Ferguson E. Dwelle and Anna Embree Williams, was born April 26, 1891 at Cedar Point, Kansas. She married Benjamin Franklin Dixon (1892-1970) on May 24, 1926 at the old Dwelle mansion near Cedar Point, Kansas. They were parents of three children, John Melvin Dixon, Dale Edward Dixon and Mary Alice Dixon. 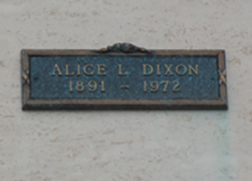 Alice L. Dixon died December 2, 1972 in San Diego County, California and was entombed at Greenwood Mausoleum (Corridor of Prayer, Tier B, Crypt 25). Alice Dwelle attended Kansas State Normal College at Emporia, Kansas and graduated with teaching credentials in 1912. When she joined the Society in January 1947, she was living at 6008 Arosa Street in San Diego, California. The Dixon family attended the Central Christian Church. photo courtesy of Gloria Simpson Henrietta Thompson was b 1881 in Iowa. 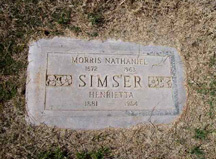 Henrietta married Morris Nathaniel Simser (1872-1963) about 1902 and had nine children, Russell Lewis, Esther, Dorothy A., Walter L, Edith, Frances Elizabeth, William Oliver, Norman and Donald Theodore Simser. She died in 1964 and was buried at Greenwood Memory Lawn Cemetery in Phoenix, Arizona. When she joined the Society in December 1946, she was living at 4167 Palmetto Way in San Diego, California. 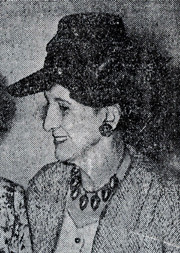 She served the Society as Hospitality Committee chairman October 1949 through May 1950.